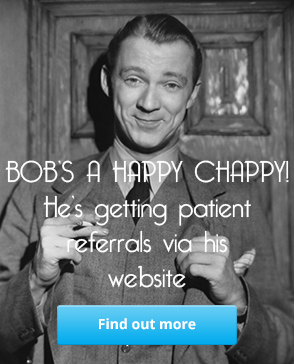 Recently we had the pleasure of building an earwax removal specialist site. It is something we haven't done in a while. Although, in fairness, with the No Wax Ear Wax Removal Specialists Profiles on Hearing Aid Know, we are constantly doing it to a certain extent. 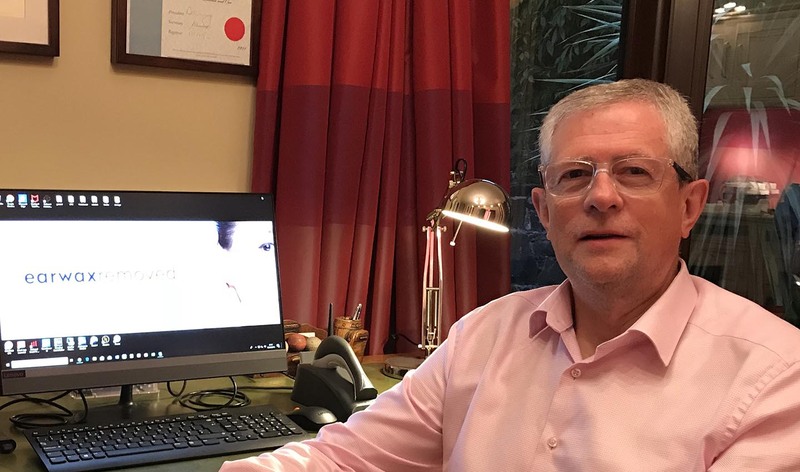 Focusing primarily on earwax removal is slightly different from the usual focus of an Audiology website. You might think it is easier because you are really only focused on one concept, but it isn't. The competition is steep and there are many key search terms that you need to consider. Just like hearing aids really, but slightly different. The other thing that is really important in earwax removal is making contact easy. Earwax removal is a right here right now service. It is also searched mostly on mobile devices, not just that, it is also a voice search concept for many. These factors need to be taken into account when designing the site and undertaking the SEO. In fact, they are imperative for success. We have learned these concepts over time and it constantly changes what we do in our build and optimisation. 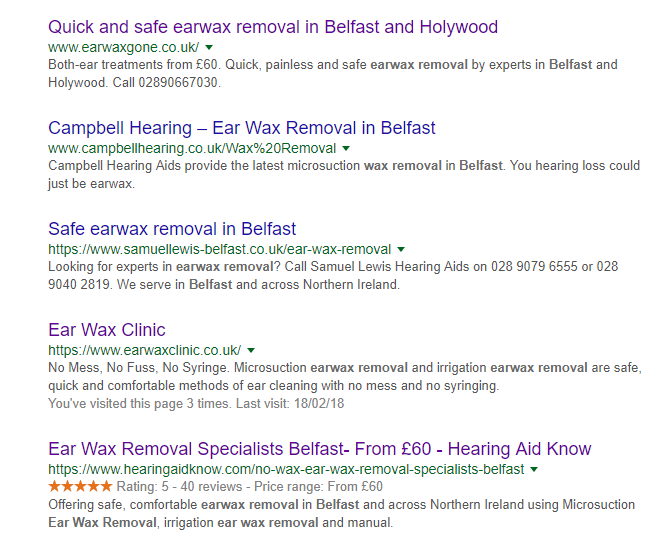 The site is called Earwaxremoved and the focus is on earwax removal services in Belfast and across Northern Ireland. We have also supported the website with a No Wax Earwax Removal Specialist Belfast Profile on Hearing Aid Know. Funnily enough, the No Wax profile started ranking immediately on publish which was a little scary. Gave me a little bit of a fright to see it at number five on page one five minutes after I published it. I would hope that the site will begin to rank within the next few days, supported by the No Wax profile and the SEO work we undertook. How long it takes is anyone's guess, nothing is ever sure in SEO and this is a very competitive search arena. Going on our usual success curve, it should arrive on page one in the next couple of days. We also have a few more tricks up our sleeve to push it there as well that we will undertake after the Bank Holiday. No matter what, we learnt a bit more from this build, as we always do.